refrigerator plus a Kreurig coffee maker. Condo is equipped with a full sized washer and dryer. Very comfortable and nicely decorated living area with awesome view of the ocean. Master bedroom suite has a king sized bed with new mattress(2018). Two additional bedrooms have one queen sized bed and 1 twin with all new bedding. All bed and bath linens are included. Private ocean deck has comfortable table and chairs bar height for an unobstructed view ocean and beach. Nice community pool and grill stations. Great walkway to the beach and fully stocked beach closet with all the chairs and toys. This beautiful condo is ready- you do not need to bring a thing but your family and friends. Non-smoking. Many years now at C-3 Great place to stay. Wonderful view Condo updated and kept very clean. Will be back again. Second year at C-3!! Had a wonderful vacation!! This has been a great week thus far. 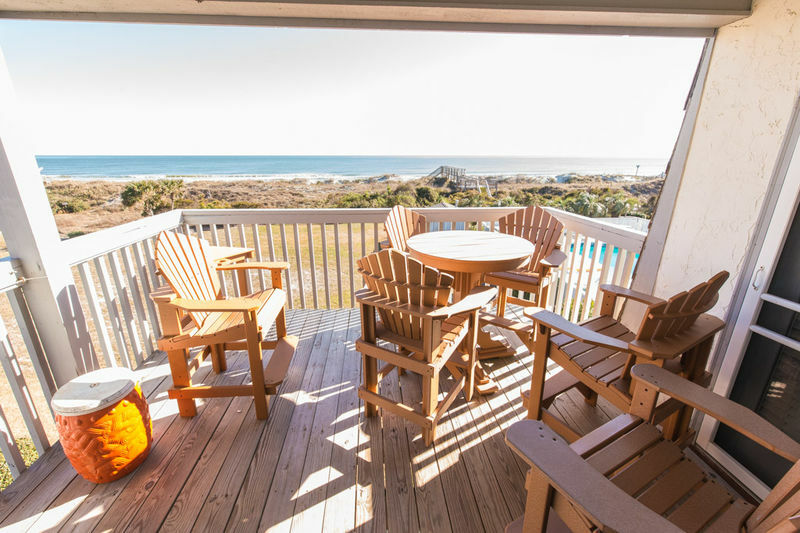 Our 18th year at OIB, This is our 7th year at Oceanside West II in this condo C3! We love it. We will be back for sure next year. One problem.. The guy below us lives here and keeps feeding the birds and local cats. Otherwise..amazing trip!